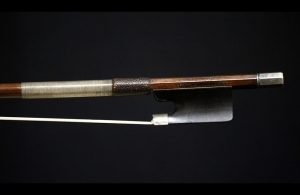 Description: Philipp Paul Nürnberger learned the craft of bowmaking from Franz Albert Nürnberger Jr., his father. After finishing his training, he worked in the family business until the end of his life. 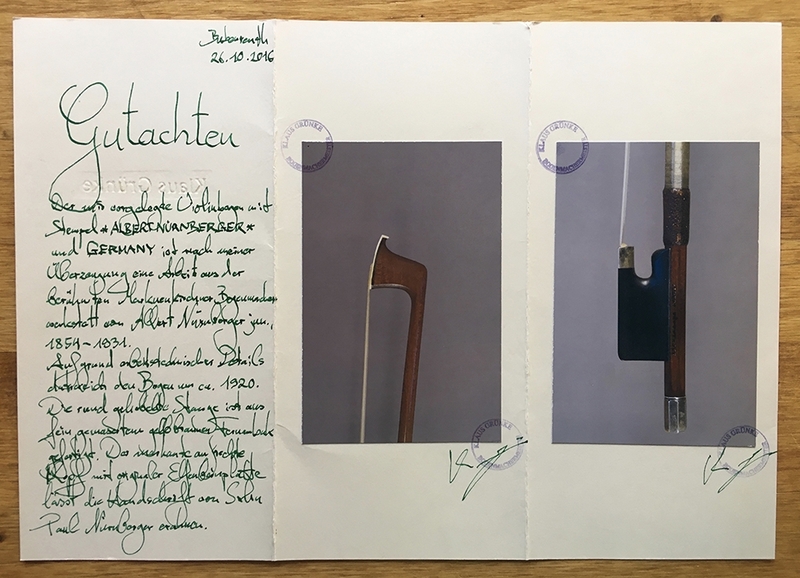 He was a fully integrated member of the workshop when Nürnberger bows won a gold medal in 1906 at the Berlin music trade fair and, in 1909, a silver medal in Leipzig. 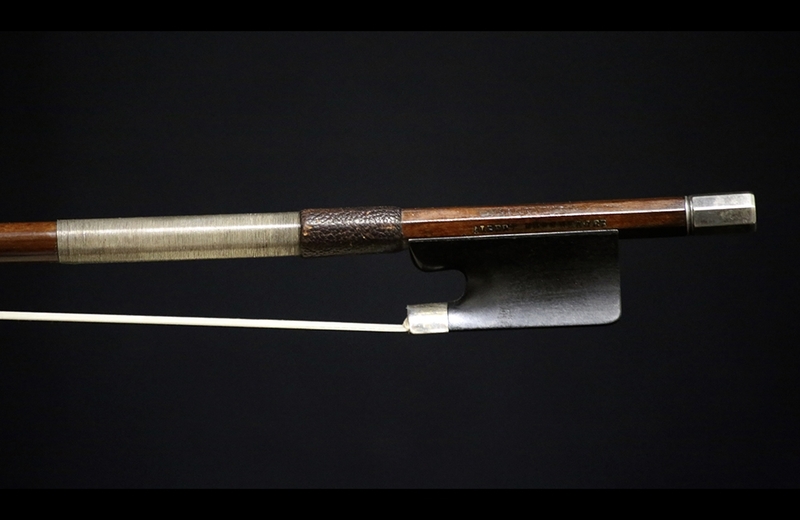 This particular bow branded: ALBERT NURNBERGER, is in near mint condition and still has its original lapping and a wonderful, un-polished patina. Sterling Silver and ebony mounted with plain frog. 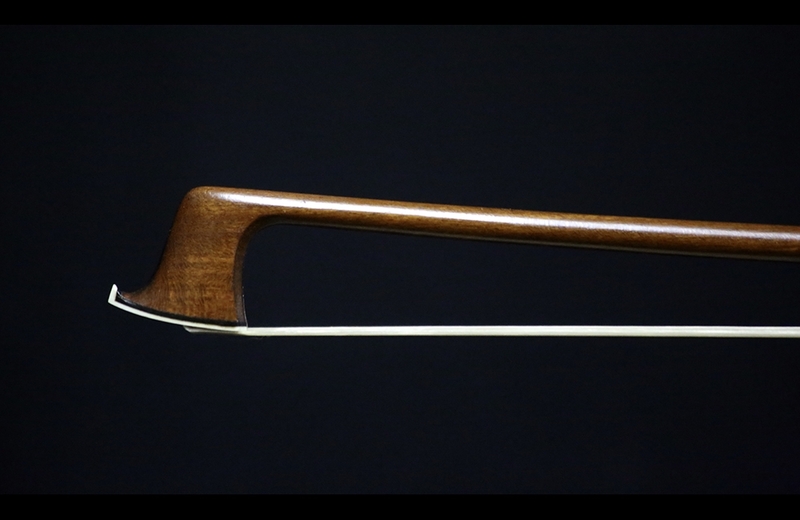 Expertly balanced and produces a warm, even tone across the strings. 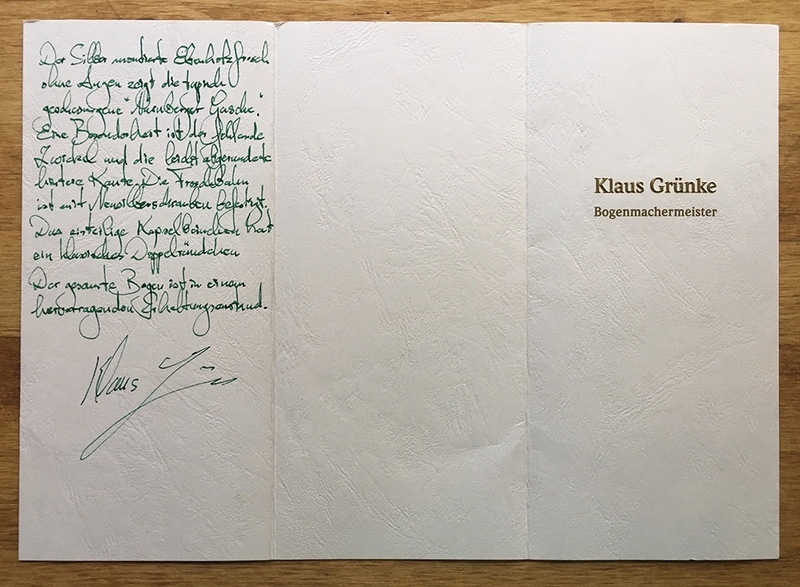 Certified by Klaus Grünke. Weight: 58.5 grams.